If your freedom is at risk, do not trust just anyone. You need an experienced bail bond agent who can sympathize with your situation and work efficiently to secure release. Abraham’s Bail Bonds does just that and more. We provide the top bail bond services in Edmond, OK! No one enjoys spending time in a jail cell. It’s a dangerous, humiliating experience, so don’t hesitate — contact Abraham’s Bail Bonds at any time of the day or night. Securing a quick release from a jail in Edmond, OK, is a process we take seriously. The local holding facility has its own regulations and procedures, including fingerprinting and checking for outstanding warrants. Once these tasks are finished, we’re at the front desk securing the release of you or a loved one that very day! At Abraham’s Bail Bonds, we’re quite particular about the bond agents we hire. We seek out those with extensive experience, compassion, and respect for the community. Incarceration is no game. Only the best should be able and willing to handle bail bond services. Freedom is at stake here! Abraham’s Bail Bonds has been in business since 1959, and we have helped countless families and defendants achieve their freedom after an arrest. 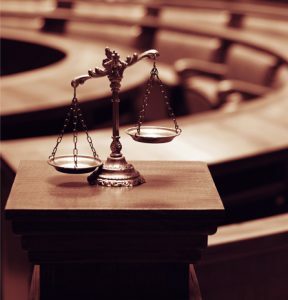 We work directly with members of the community, including local law enforcement and judges, to post your bail. Over the years, we have acquired a reputation that puts us at the forefront of the bail bond industry in the region. We work around the clock to ensure that defendants have a fighting chance at their freedom. So, when you’re arrested, no matter the time or charges, give us a call. Abraham’s Bail Bonds is here and ready to tackle your situation. With just a single phone call, we’ll get to work and post your bail. We understand the stress involved and know just how to rectify the situation. Do not worry yourself any longer, because Abraham’s Bail Bonds is on the case! Since 1959, Abraham’s Bail Bonds has provided fast, secure bail bonds in Edmond, OK. We have watched the area blossom into a loving, flourishing community over the years. As the sixth largest town in Oklahoma, Edmond has a bright future ahead! Secure fast bail bond services in Edmond, OK, with Abraham’s Bail Bonds. Give us a call anytime at 405-528-8000. We will work around the clock to secure the prompt release of you or a loved one! We serve entire Edmond, OK 73003, 73007, 73012, 73013, 73025, 73034, 73049.